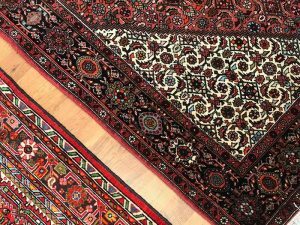 At Kasra Persian Rugs, we know that buying and caring for an Oriental rug can be an intimidating process. You don’t need to be an expert to find the rug that suits you, but we feel education is a great way to begin the experience of purchasing and owning a fine area rug. 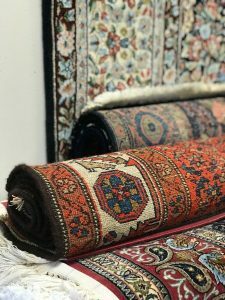 Our rug professionals have built a wealth of knowledge through decades of experience, and enjoy sharing and guiding our customers towards understanding the vast history, tradition and craft surrounding the world of these beautiful and time honoured works. 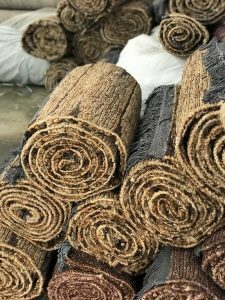 With so many styles to select from, as well as the option for custom rugs, nowadays you can have exactly what you want. Many people ask us the real difference between handmade and machine made rugs. The answer is that a good quality handmade rug, if well maintained, will look beautiful and strong for lifetimes. 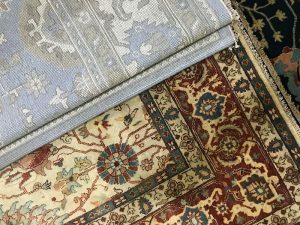 When purchasing a rug, there are several factors to take into consideration, such as size, design, quality and price. With so many options on the market today, it’s good to understand what’s out there. Be kind to your rug! A good, hand-knotted rug is a high quality work of art, and should be treated as such. 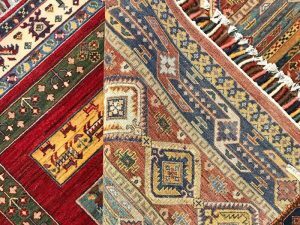 If you take a few simple steps you can make your rug last a long time, and look beautiful throughout its life.